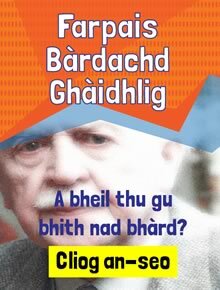 Fàilte gu làrach-lìn Stòrlann Nàiseanta na Gàidhlig, a' bhuidheann a tha a' co-òrdanachadh foillseachadh agus sgaoileadh ghoireasan do dh'fhoghlam Gàidhlig air feadh Alba. 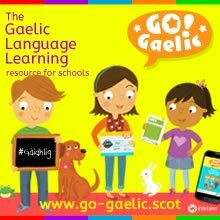 Welcome to the website of Stòrlann Nàiseanta na Gàidhlig, the organisation charged with co-ordinating the production and distribution of Gaelic educational resources throughout Scotland. On 1st January 1919, HMY Iolaire sank after striking rocks near the entrance to Stornoway harbour. 201 salilors returning from WW1 were drowned in the disaster which affected the islands for decades. This is a Gaelic version of the popular board game 'Scottish Quest' – a heritage game with over 2000 questions about land and nature, history, culture and contemporary Scotland. Buy it now! 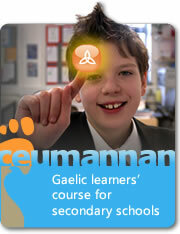 A collection of materials aimed specifically at Gàidhlig pupils at National 3, 4 and 5 levels. An inter-disciplinary resource has been produced to support the teaching of this subject in P4 – 7 in the primary school. Stòrlann has a facility that allows users to upload their own content to a digital content repository for sharing with others. The Home Economics resource is a collection of units which will help pupils to learn about the subject through the medium of Gaelic. 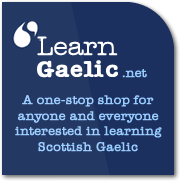 Mìrean is a website for teachers to provide support regarding Gaelic grammar.